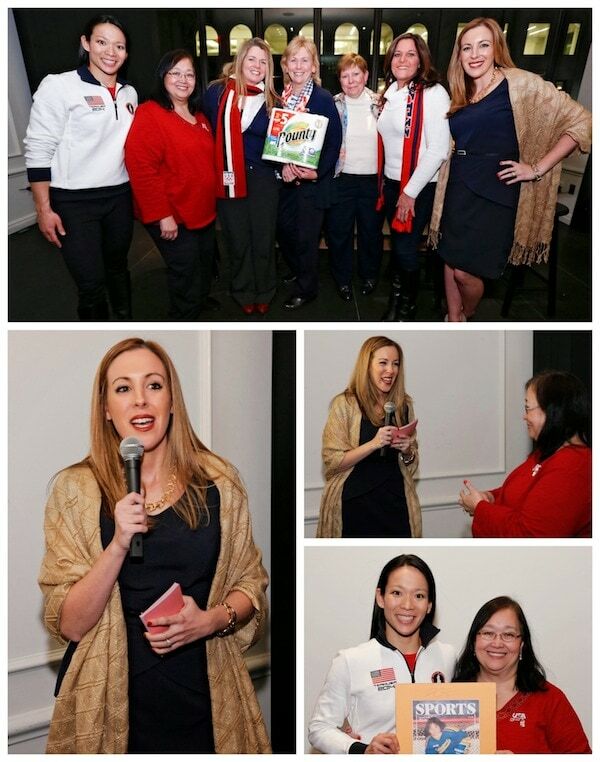 Earlier this week, I was asked by Bounty to moderate a panel filled with Team USA Hockey Moms. The topic? We discussed what it took to raise their daughters into Olympians. At first the stories were funny — hockey pucks stuck in the walls, spills on their carpets, road trips to two or three states a weekend and even removing windows from their basements! But the more I listened, the more I realized that this group of women pretty much epitomized what it meant to stand by your children and their dreams. It was all so… beautiful (no matter how messy their stories actually were). It wasn’t about the chaos and the schedules and keeping up with the practices. It was about letting their kids pursue what was in their hearts. WOW – what a wonderful message to hear. I was so happy to be part of that night. On hand to help spread the message that families should not “sweat the mess” was Julie Chu! I know we will all be routing for her this year during the Sochi 2014 Olympics. Personally, I am going to be watching the hockey game with a different eye this time because I ACTUALLY shook hands and had conversations with one of the players and a handful of their moms. I WILL LITERALLY ROOT FOR THESE WOMEN WITH ALL MY HEART THIS YEAR!!!!! WOO HOO! It was a great night to connect with friends too. I enjoyed catching up with Adam from DadaRocks, Onica from MommyFactor and Melissa from The Staten Island Family. 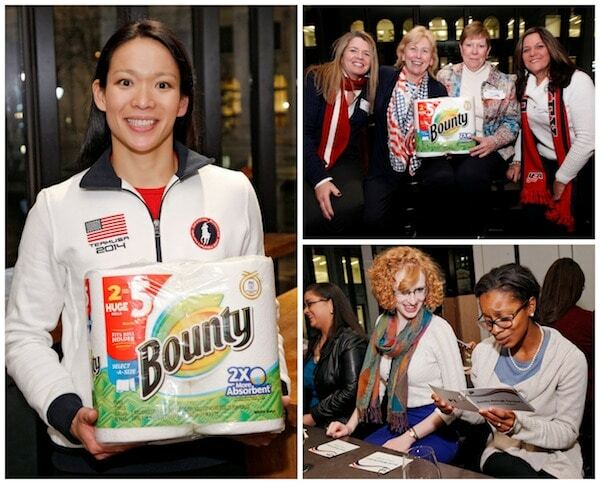 Bounty has promised $1 to the P&G Youth Sports Fund for every message that gets tweeted from now until 1/10/2014 (or until 10,000 tweets are hit) using the #BringIt hashtag. Be sure to include @Bounty and the hashtag #BringIt! Answer the following question — How do you allow your aspiring athlete to train in the home despite the mess? There is no limit to the amount of stories you can share but each story should be unique. Head on over to Twitter now and share your story!! Oh and one last thing since I have your attention. Get your tissues out because this is another AMAZING commercial from P&G. T-E-A-R Jerker! Oh my goodness. I can’t even THINK about this commercial without crying. Check it out. But just remember – I warned you. * I’m working with P&G’s Bounty Brand to help promote the #BringIt social media promotion. This is awesome! 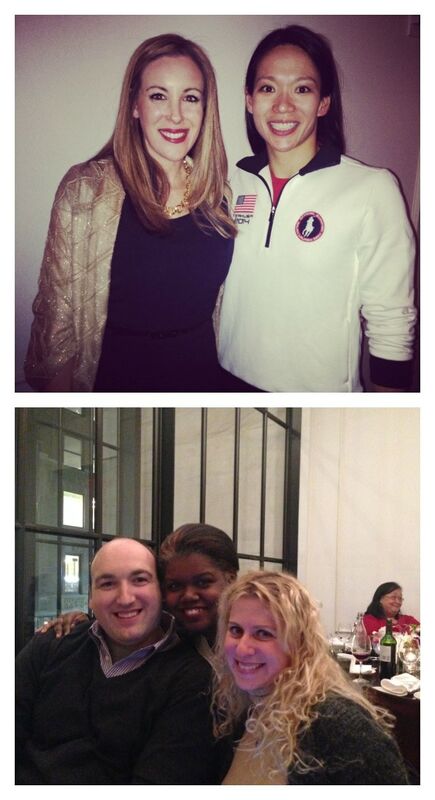 I love following all the Olympic stories and this #BringIt campaign is awesome – let’s hope our athletes #bringit in sochi! What stood out for me most about this event was these moms and like you said while you were moderating- the love they showed for their kids via their commitment to them and their Olympic dreams well it was just awe-inspiring. Oh and you need your own show! You can moderate like no one’s business! What an incredible experience! I just love those commercials too! Those videos wreck me. I love them so much. Julie and her mom are amazing. I had the privilege to meet them in Vancouver. WOW. These are my favorite parts of the Olympics–the stories behind the athletes. Sounds like it was a fabulous experience! Thanks for sharing!! Such a good experience, Vera! I am just so excited for the Olympics – I love them. And that commercial? TEARS for days. What an incredible experience! I saw that video the other day and it killed me. BAWLED!